Guru Angad Dev Ji (1504-52) previously known as Lehna was a worshipper of the goddess Jawala Mukhi. Once, while going to the shrine of this goddess, he came in contact with Guru Nanak Dev Ji. There was spontaneous conversion. He chose to serve the Guru. He became the Guru’s best and obedient follower. After testing him along with others, Guru Nanak Dev Ji nominated him to the Gaddi in 1539. Guru Angad Dev Ji popularized the Gurmukhi script introduced by Guru Nanak. He broke the Brahmin’s monopoly of learning by encouraging all sorts of people to learn Gurmukhi (the Guru’s script) and read religious literature. He also set up religious centres where the principles of Sikhi could be propagated. Guru Angad Dev Ji extended the Langar – the free kitchen – and personally looked after the serving arrangements. Langar was intended to break caste barriers and social taboos. Guru Angad Dev Ji was very fond of children. 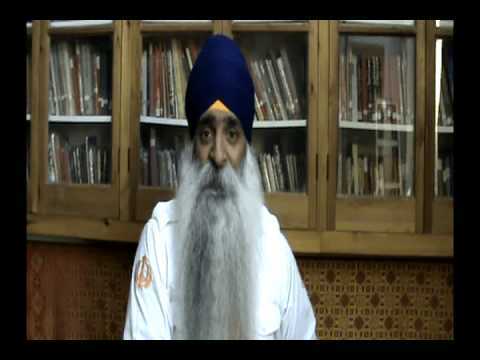 He started a school for young boys and taught them the Gurmukhi script. He also insisted on physical fitness. He opened a gymnasium which had a wresting arena, rural sports and games followed religious congregations. This tradition subsequently helped in enlisting able-bodied men for the Sikh army. Guru Angad Dev Ji led a life of piety and service at Khadur. Here Amardas – a relative of his – served him day and night. The Guru bypassed his sons, who were disobedient and nominated Baba Amardas Ji as his successor in 1552. « What do you know of Guru Amardas Ji?